It’s been a long time since I’ve written–a long time since I’ve found any inspiration to write about my beloved Olympics. Perhaps today’s entry isn’t due to any inspiration, but rather to take a moment and open my heart, laying out some of my feelings with which I’m conflicted. A few months ago I was dismayed to learn that a record number of cities had withdrawn their bids to host the 2022 Winter Olympics. Out of the original six cities which bid, only two remain: Beijing, China and Almaty, Kazakhstan. Lviv (Ukraine), Krakow (Poland), Oslo (Norway), and Stockholm (Sweden) have all withdrawn their bids. Didn’t we just have an Olympics in China some eight years ago? Kazakhstan? Really? Never have I seen the selection of an Olympic host city be whittled down by the candidate cities themselves, bailing one by one, leaving the least popular cities as the only two available choices. It’s already difficult to be excited about a 2018 Winter Games in Pyeongchang. I’m already frustrated in learning that new medal events will debut at these games: mixed doubles curling, mass start long track speed skating, snowboard big air, and an Alpine skiing team event. How much bigger of a circus can these games become? Let’s see, then there was the report of dead fish filling the harbors near Rio de Janeiro, Brazil (host of next year’s Summer Olympics), protests by Brazilians over slum evictions, the growing safety concerns for tourists arriving next year, and yes, the reminder that golf will debut in 2016 as a medal sport. Yeah, it’s difficult to rally around the excitement which will soon begin building for these next Olympic Games. Now I’ve learned that in the last few days one of 2012’s great heroes (and a favorite of mine from London) is under investigation for performance enhancing drugs. Who can forget the gold medal finish by Mo Farah three years ago? 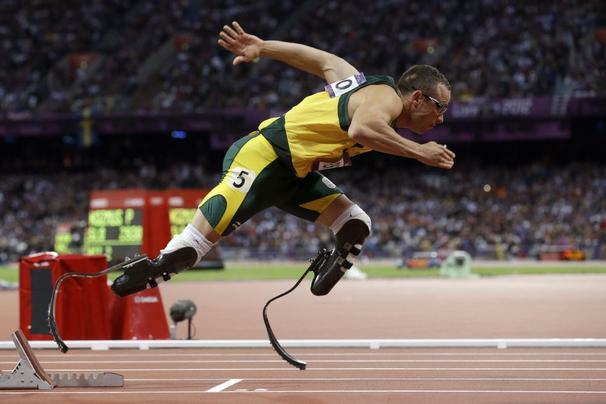 It brought tears to my eyes as he and two other compatriots won gold for the United Kingdom in track and field events. 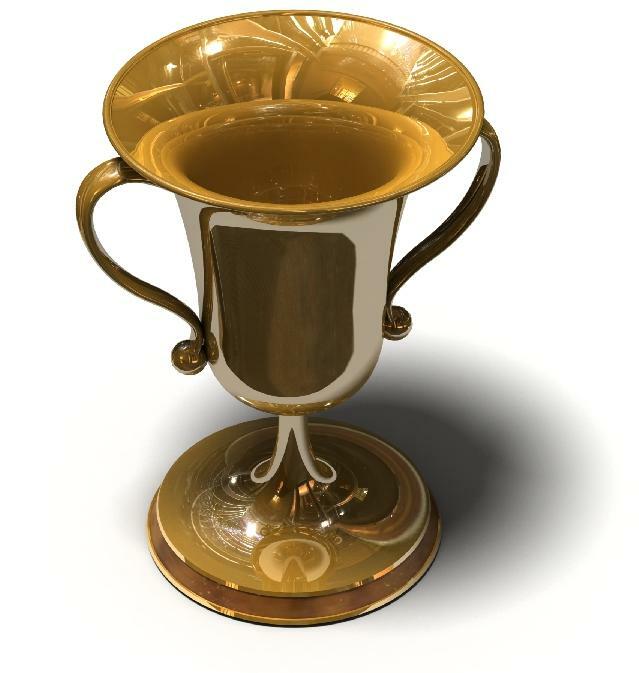 Now there is suggestion that his win was not earned honestly. Farah is one of many athletes who continue to fall under scrutiny for alleged cheating. 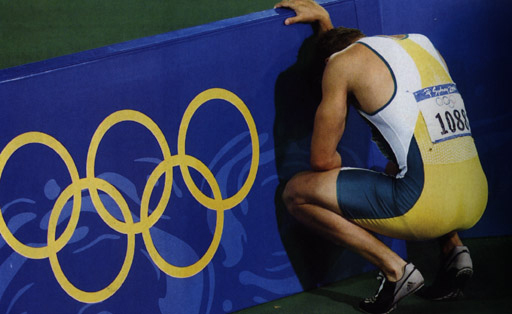 Some will be cleared of any wrongdoing; others will not, and their Olympic glory will be forever tarnished. I thought we were past the decade of steroids and other performance enhancing drugs? Apparently not. Farah denies all accusations. I hope his denials are truthful. Say it ain’t so, Mo! Sochi’s 2014 Olympics will probably go down in history as one of the most boring and lackluster games of the 21st Century. The IOC continues to add sports left and right, diluting the value and uniqueness of an Olympic Games and its medals. In addition, the cost of hosting is leading to potentially great hosts declining or withdrawing from the opportunity to host. And athletes like Sanya Richards-Ross are demanding compensation in addition to their medals, claiming training costs are too expensive and that IOC members pocket too much money–money that should be given to athletes. I’m not sure what direction this blog will take from here on. Imagine how heartbreaking it is for this fanatic to feel so conflicted about the one thing she has loved and revered her entire life! Today I’m feeling blue. I’ve got Post-Olympicitis. My symptoms are restlessness, sadness, heavy sighing, fatigue, and lack of motivation to carry out normal activities. Singing “The Sun’ll Come Out Tomorrow” isn’t helping. But thankfully there are wonderful folks at BBC, including Newsday presenter Julian Keane who was incredibly thoughtful to share a video with me via Twitter. 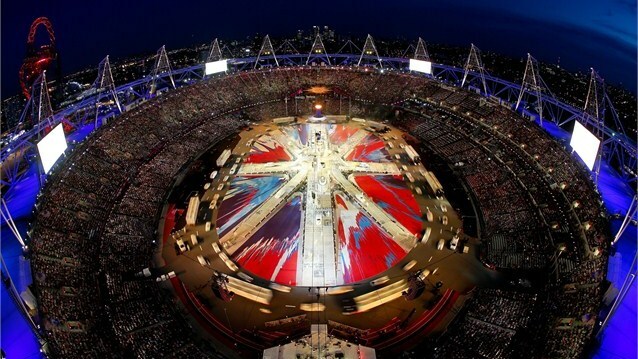 It not only reminds us of the phenomenal job done by British athletes, but a reminder to also keep looking forward. Yes, ever forward! Before I share the video, I want to take a moment to extend my gratitude to BBC for the support and kindness it showed this blog over the past two weeks. I write this blog because I love the Olympics, and because it’s a means for sharing my passion with others. Never in my wildest dreams did I think someone would want to hear my thoughts via mainstream media, much less BBC, the most highly regarded agency in broadcasting! The producers and presenters for both BBC Newsday and BBC World Have Your Say couldn’t have been nicer or more gracious; and for little ole me who was shaking with nerves about being on live radio, their gestures were more appreciated than they’ll ever know. But Wait! The Drama of London Isn’t Quite Over! The cauldron’s been extinguished. Athletes have packed up and departed the athlete village. Some of the venues are being dismantled. Yet the drama of the Olympics continues! I’ve never been good at goodbyes, and being the terribly sentimental person that I am makes them all the more difficult. When I was younger, I remember crying as the flame was extinguished in Calgary, Seoul, and other games. I didn’t want the games to end. These games revived me. They brought back the purest and rawest emotions that I remember having as a child. And it felt so good. Until the end when it was time to bid the 2012 Olympics farewell. In the opening ceremony, LOCOG Chairman Sebastian Coe said of the Games, “There is a truth to sport, a purity, a drama, an intensity, a spirit that makes it irresistible to take part in and irresistible to watch.” While the games between 2000 and 2008 are not to be admonished, London was special, unique. For this fanatic, these games brought back to the Olympics the “purity”, “intensity”, and “spirit” that as a young child, I had found in the Olympics. Just as it did in 1908 and 1948, London again welcomed the world for two weeks of glorious sport and competition, making the game more memorable than others. 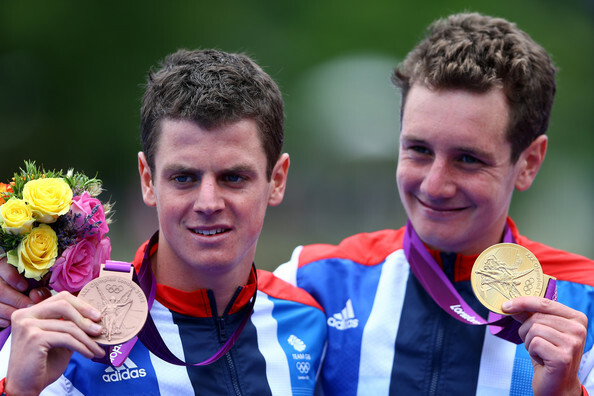 Thousands of athletes came to London and made their own indelible mark upon history. And just as I once was so many years ago, I found myself crying during the opening and closing ceremonies, in absolute awe of the strength, athleticism, and courage displayed by thousands of athletes. And while these games were also “irresistible to watch”, they also gave me a sense of hope. For the female Saudi athletes daring to compete, those athletes representing a war-torn country, or a competitor overcoming personal tragedy to attend these games, they all gave us hope. They reminded us that it is not without pain, tears, courage, and determination that we achieve our goals. Yes, Chairman Coe, Great Britain “did it right.” We did see the very best of Britain, and for that we are all eternally grateful. And as you said, these games have inspired a generation. That feeling of extreme sadness I had as a child when the Olympic flame is extinguished….I had it again tonight. I don’t want these games to end. While the flame may have been extinguished, we will carry the memories of 2012 with us always, using them as a source of inspiration, whether we are young or old, athlete or fan. Let us begin to count the days until Sochi and Rio, remembering, as the London Games reminded us, to always strive for Faster, Higher, Stronger. Ladies and Gentlemen, it’s that time again. As we prepare to conclude the 2012 Summer Olympics, it’s time to reflect on these two weeks and bestow more honor on some of those who participated in these games. There’s no red carpet pre-awards show, so let’s just get right to the awards. I’ve got a closing ceremony to go watch! 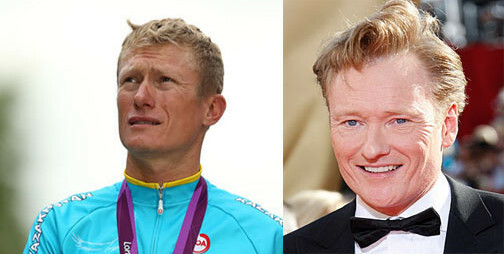 Alexander Vinokourov, Cycling: Could be a brother for Conan O’Brien! Perhaps Vinokourov isn’t Ukrainian, or O’Brien isn’t Irish?! Netherlands, who just barely beat out Belize for the best costume. The v-neck sweaters with accompanying orange and blue was a bright and cheerful splash of color to the fairly predictable array of costume, while remaining loyal to country colors. 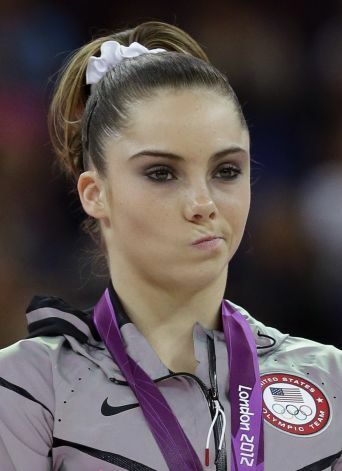 McKayla Maroney, who was none to happy with a silver medal, and was none too shy about displaying her dissatisfaction. 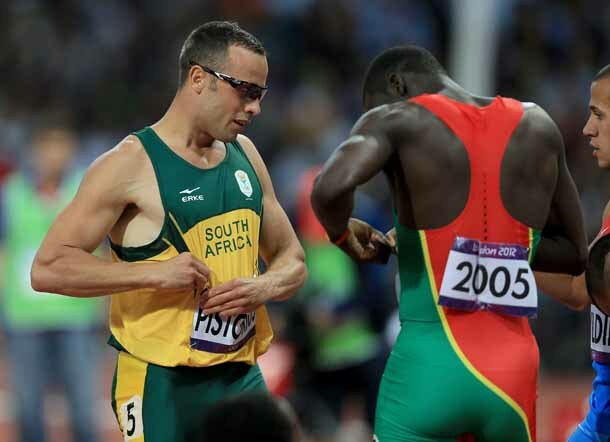 Grenada’s Kirani James not only won a gold medal, but won my vote for best sportsman, as he not only congratulated his fellow winners, but found it important to swap bibs with fellow competitor Oscar Pistorius. It’s one thing to come from behind and win. It’s another thing to almost miss making the cut for the semi-finals, only doing fair in those rounds, and then storming back in the finals. That’s just what David Boudia did in the men’s 10-Meter Platform, making him yet another American diver in the history books along with the late Mark Lenzi, and Greg Louganis. 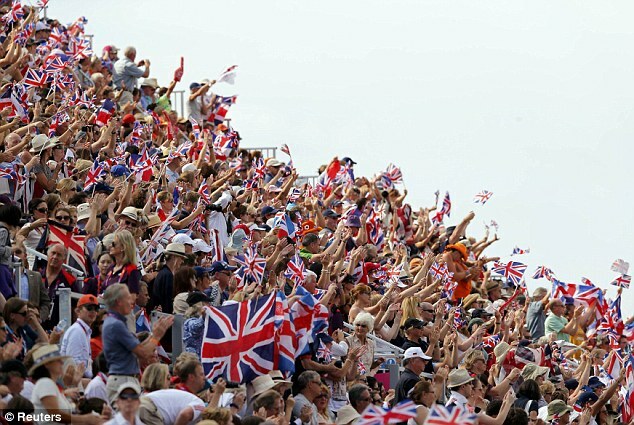 Whether in the velodrome, at Greenwich park, along the Box Hill route, or inside Olympic Stadium, Great Britain can definitely be dubbed “Our Greatest Fans,” as they made the Olympics all the more enjoyable, showing true patriotism and loyalty. Thank you, Great Britain! Days 12 & 13 in London: Is Usain Bolt the Greatest Ever? Yams may be part of the Jamaican diet, but apparently humble pie is not. Bolt’s statement had me thinking: Is he the greatest athlete ever? Is he the greatest Olympian? title. While I believe that Phelps is more deserving of the title than Bolt, he is not my choice either. The title of world’s greatest athlete has, and still does, belong to Jim Thorpe. When I think of who can be called the greatest Olympian ever or who we can say is the greatest athlete ever to live, I’m looking for someone who proved themselves over many years in various disciplines, events, or sports. At the 1912 Olympics, American Jim Thorpe competed–and won gold–in not just one event, but two: pentathlon and decathlon. And because pentathlon and decathlon are both combined events combining multiple track and field events, Jim Thorpe wasn’t just proficient at sprinting and middle distance running. He also excelled at the shot put, javelin, discus, long jump, high jump, pole vault, and hurdles. Think about this. How can we compare one race by Usain Bolt (two if we count both the 100 and 200 meters) to a grueling schedule of multiple disciplines over several days? We must also take into account that 100 years ago, when Jim Thorpe won his two Olympic gold medals, his conditions for training and competing were quite different from those of Bolt’s. There was no aerodynamic clothing, or non-slip track surface. Athletes like Thorpe competed on grass, dirt, and cinder ash, wearing heavy cotton clothing; leather cleats with metal spikes! There were no juicer machines, sports nutritionists, or corporate sponsors. Nor were there state-of-the art gyms with special weights and resistance training. What could Jim Thorpe have done with training conditions of today as well as modern technology? Thorpe wasn’t just a multi-event Olympic gold medalist. He also excelled at baseball, football, and basketball, and he was good enough to play professionally in all three of these sports. While it might not technically be a qualification for the title of either greatest Olympian or athlete, Thorpe possessed one other quality which makes him all the more deserving in my book: humility. It is giants like Jim Thorpe whose shoulders Usain Bolt has stood on to reach his achievements. And most of those predecessors, like Thorpe, did so humbly. Days 11 & 12 in London: I’m in Love! I know, I know. I’m late on getting this blog post submitted. Please bear with me! I’m working a full-time job and watching the Olympics, and I don’t like to do anything else while I’m watching at home. My attention while watching the games is undivided! I must make a confession: I’m in love with these London Games. I’m also in love with all of Great Britain. Now, I already liked Great Britain quite much before these games. Years ago I spent a few days in Wales and London. 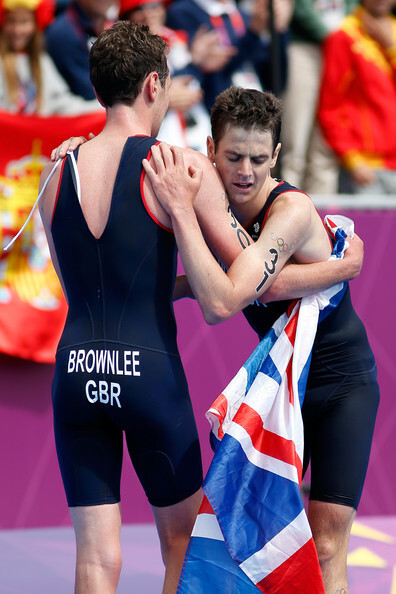 The British people just tend to do a lot of things better than we Americans do: reporting of news, healthcare system, respecting tradition….Well, now they’ve proven again how good they are at sport, and I’m in love with their darling stars of the men’s triathlon: Alistair and Jonathan Brownlee. Who wouldn’t be charmed by these adorable two? Dougherty brothers did so for tennis back in 1900! As if Day 11 wasn’t already “happy and glorious” enough with the Brownlees’ medals, Sir Chris Hoy did not let down his kingdom with another gold medal in cycling, bringing Great Britain’s total cycling gold medals to eight! What’s after Knighthood? Is there a step up from Sir? Maybe Baron, Viscount, or Earl? Add to all of this a gold medal in team dressage for Great Britain, and its gold in the team jumping event on Day 10, and one must wonder if there’s any stopping the Britons! While most of the track and field events have focused on British and American athletes, I’ve got to take a moment to recognize Australia’s Sally Pearson. It’s not been a great Olympics for Australia. Thus far, they’ve only won six gold medals, but at least one of them came from Pearson, who blazed past all of her competitors, clearing each hurdle with such quickness like I’ve never seen. She became the first Australian to ever win gold in the 100-meter hurdles! While NBC was fixated (again) on scantily clad women playing beach volleyball (Congrats to Misty May-Treanor & Kerri Walsh-Jennings! ), I found more interesting competition during Day 12 online, with a humdinger in both handball and (field) hockey. I have to say I was pulling for Iceland in its quarterfinal match against Hungary. How many times does one get to say they’re watching Iceland compete in the Olympics? Not very often. But alas, the country wasn’t strong enough to hold off the Hungarians, but the match did go into overtime, with Hungary edging out Iceland by only one point! In women’s hockey, Netherlands and New Zealand battled on a sopping wet pitch for a spot in the finals. The Dutch seemed to have the advantage during most of the game, even though both teams remained tied and the game went into a shootout! The New Zealand goalie just seemed too slow, and with a crowd that seemed to be majority Orange, the game ended with a victory for Holland. The women’s final will be a doozie: Netherlands versus Argentina! If all of this isn’t exciting enough, I haven’t even touched on taekwondo, wrestling or canoe/kayak sprinting; Mo Farah will be running again in the 5,000 meters; and Modern Pentathlon starts tomorrow! Do these games have to end?